I overthink everything to make the world a happier place. What if you can never delete your Amazon self-published printed-on-demand book? aka Does Amazon have fake second-hand book sellers? 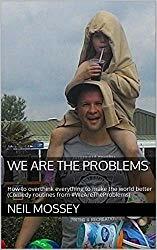 I wrote a book on Kindle. Took me ages to get the pen off the screen. But this was weird -- I self-published a book properly on Amazon instead. In my head one night (at 1am) Donald Trump’s lawyers were going to come after me to sue me. Even though I’d just made every one of his 2017 tweets so much better. But - I reasoned - if I am going to get done, I’d at least want it to be for something even closer to my heart. It was self-published on Amazon's KDP (Kindle Direct Publishing) platform, and the paperbacks are printed on demand. So, I thought, I’d just go into the dashboard and un-publish it. It’s easy, an option on a pull down menu. But you get a warning. “We’ll stop printing copies of your paperback to fulfil customer orders. 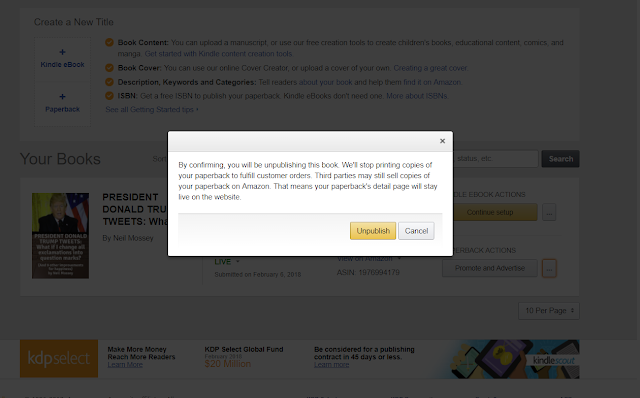 Third parties may still sell copies of your paperback on Amazon. Well, I’m fine with that - the joke for me was that 4 were only ever printed. The KDP dashboard tells me the exact number sold. And know where all of them are. But I’ve got all the copies. “Langton Distribution” says it has 1 copy left in stock. Even though I have every single copy ever printed. And it was only ever printed-on-demand. You can never unpublish a book. It will always be buyable - at a massive markup, possibly to Amazon. But now my neuroticism means I’m a Beta Male who doesn't know to fear Amazon’s lawyers or Donald Trump’s lawyers. 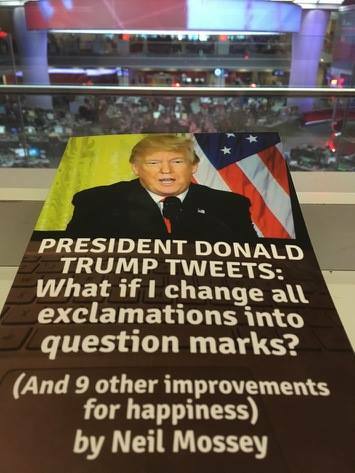 On a book that sold 4 copies. 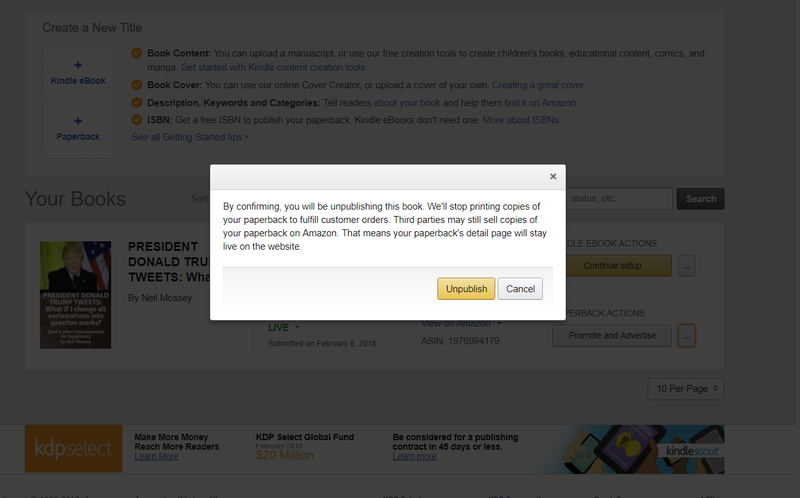 Can you unpublish or delete a book you have self-published on Amazon KDP? But Amazon doesn’t seem to want to be seen to be keeping it in print, even though (for a hefty price, to you) it is. 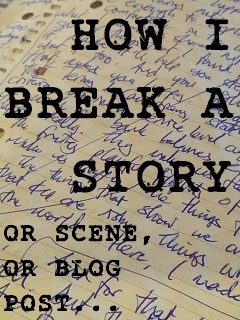 By the way, leave a comment or subscribe to my mailing list, and I'll send you a PDF copy of the book for free.